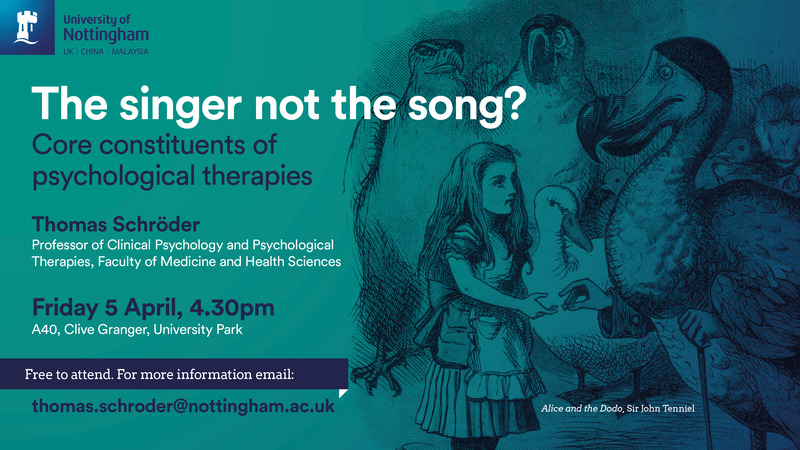 The continuing debate about the respective influence of specific and common factors on the outcome of psychological therapies has recently been stimulated by closer attention to therapist factors. Dr Thomas A Schröder’s inaugural lecture charts a course of personal progression alongside developments in the field. This event will take place at 4.30pm on Friday 5 April in A40 Clive Granger, University Park. Attendance is free. For more information email thomas.schroder@nottingham.ac.uk.